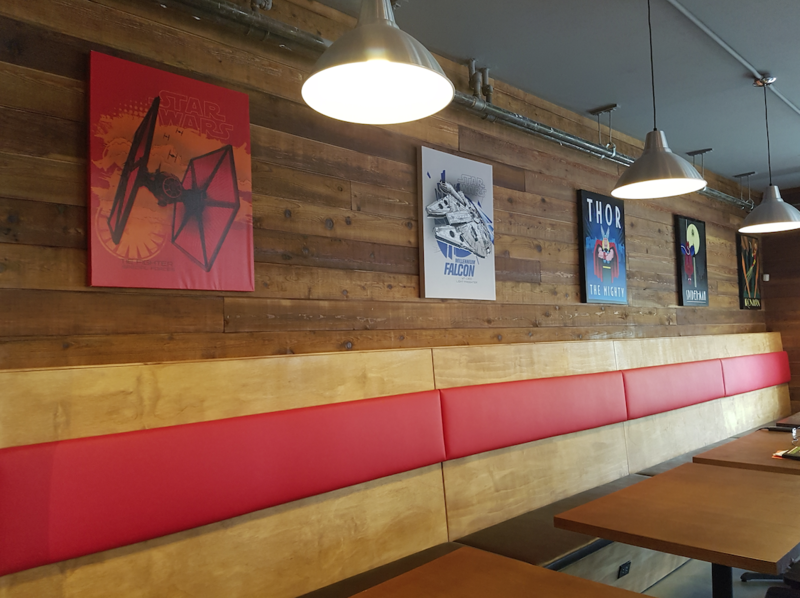 A new cafe with a pop culture twist on 124 Street. 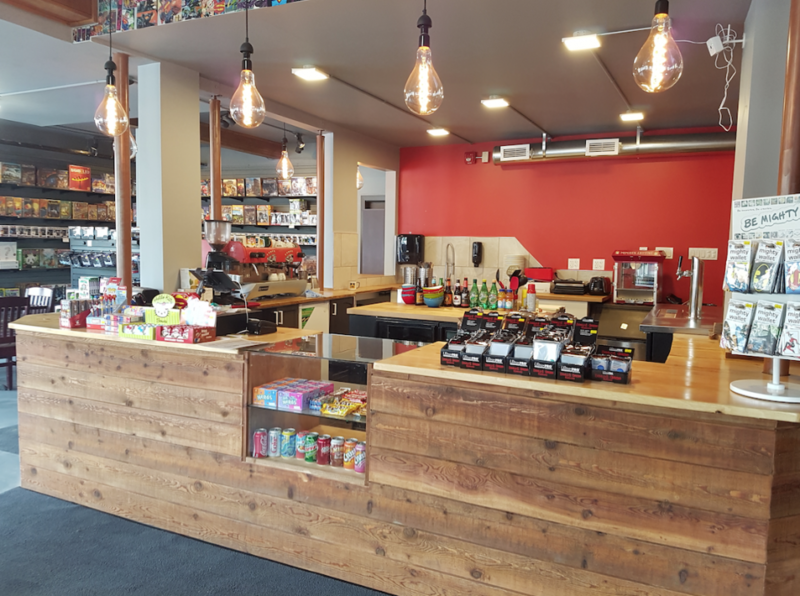 Board game cafes have been popping up left and right around the city, and The Gamers’ Lodge, a new cafe on 124 Street, joins the community. Owners Carissa Chan and Justin Bourassa wanted to open a cozy community space, first and foremost – with a healthy dose of pop culture, of course. The licensed cafe has beer on tap and Iconoclast coffee brewing. And, continuing with the pop culture theme, the menu includes waffles, sandwiches with cheeky names like the R2-D-Tuna and Cuke Skywalker, and salads such as The Tart Widow, which is comprised of mixed greens, strawberries, candied pecans, gouda, and a yuzu vinaigrette. 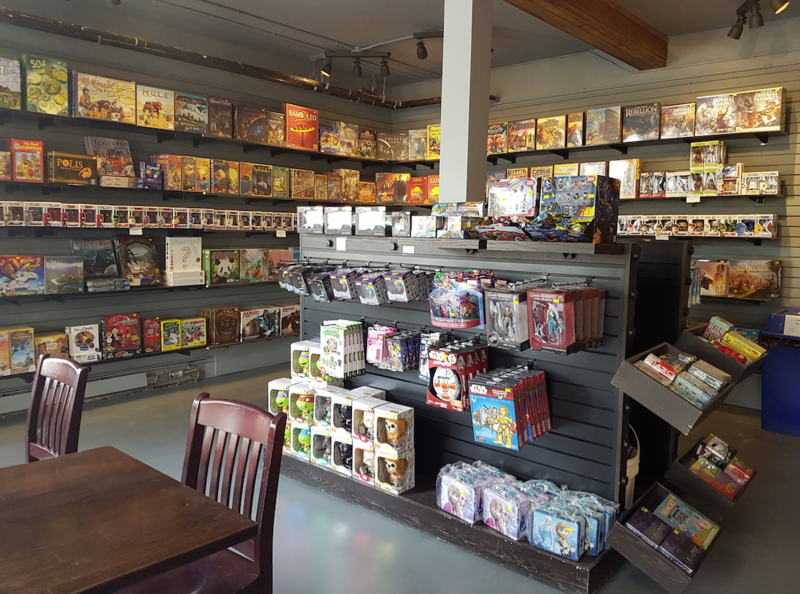 Bourassa, a board game aficionado who regularly attends game conventions to see what’s new and exciting in the gaming world, curates the cafe’s collection – in fact, it started primarily with the games in his personal collection. 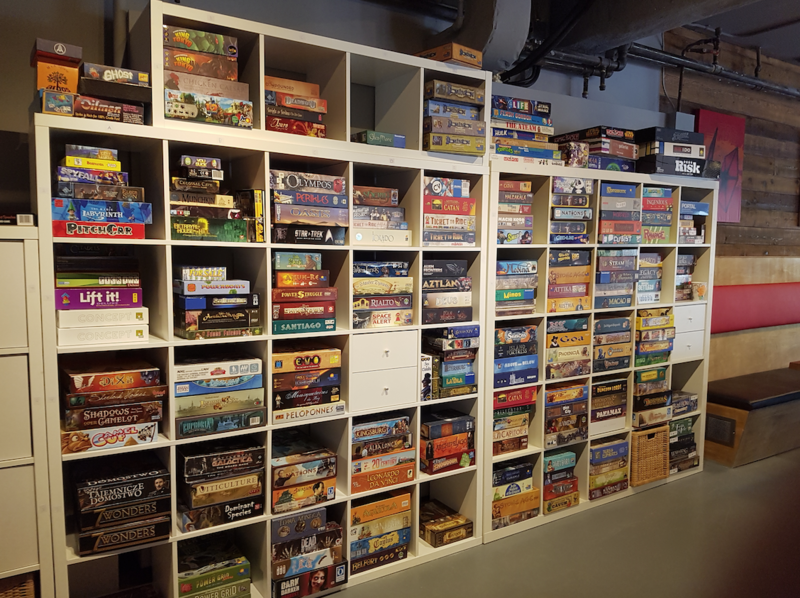 As with most board game cafes, you pay a flat fee to test out any games you’d like. Currently, there are almost 500 games available for you to try out while you munch on some Padawan Popcorn. The soft seating and warm wood tones were selected to give the space a lodge-like feel – with a bit of pop culture artwork thrown in. The vast selection of games are organized in a system based on the level of difficulty and the amount of players needed, so it’s easier to figure out which game to try based on what you’re looking for. The cafe also contains a small retail space for pop culture memorabilia and games, as well as a collection of mugs designed in a collaboration with Edmonton-based artist Kaytlyne. Want to stay up to date on everything going on in the Edmonton food scene? Subscribe to our Food + Drink newsletter to get exciting content delivered to your inbox every Tuesday.